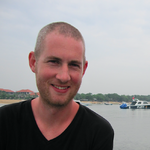 A couple of years ago, I had the pleasure of teaching a young couple to dive in Thailand on one of my favorite reefs. 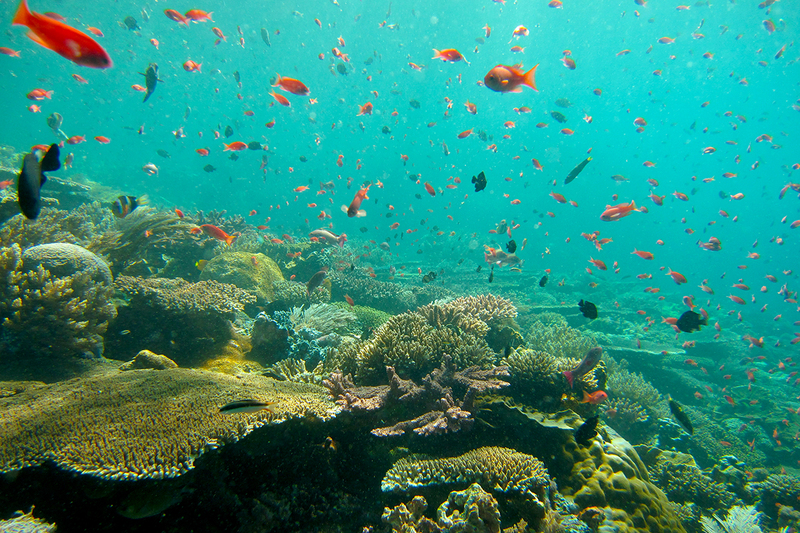 Weather conditions were perfect, with mild currents and excellent visibility of the stunning topography and bright, vivid corals. Even through the regulator, I could see the smiles on my students’ faces. The dive couldn’t have been better — that is until we started making our way back to the boat. As we swam back along the reef, I noticed the current changing and with that, huge quantities of trash and plastic began to flood the area. I saw small reef fish swimming amongst the straws, plastic bags and fragments — I even noticed they were pecking at the plastic. 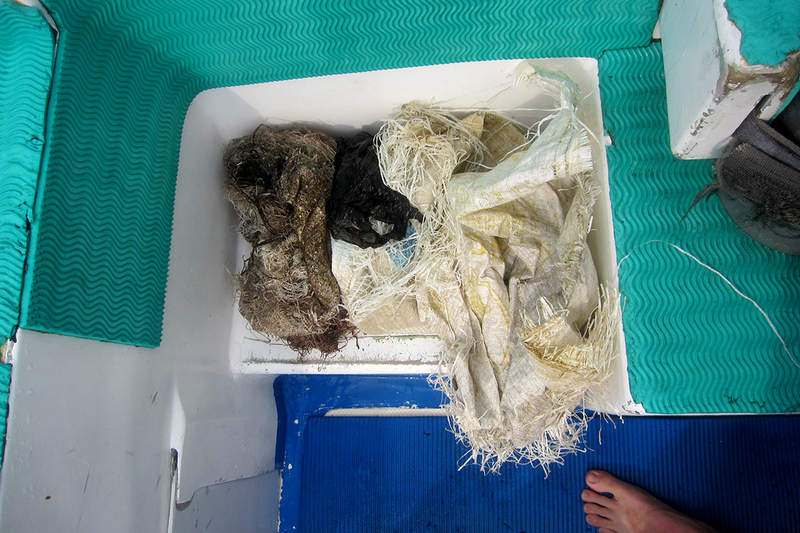 As we ended the dive and got back onboard the boat, we had plastic all around us. The water seemed more like a trash site than ocean. What is plastic doing to our oceans? Over the past decade, divers and beach lovers have seen a considerable change to the oceans. 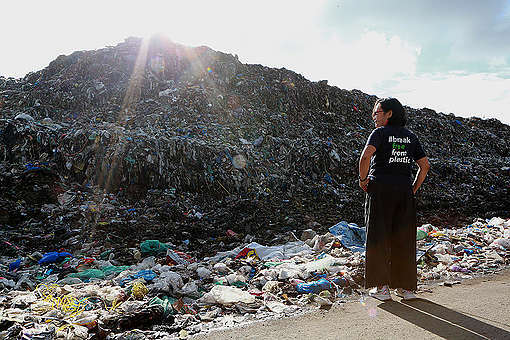 Even very remote locations are becoming awash with plastic and other chemicals. Plastics are entering our oceans at an alarming rate — up to 12 million tonnes each year. This huge amount of plastic is wreaking havoc on the underwater environment as well as marine creatures like sea turtles and sea birds, who sadly mistake plastic for food. Pollution has brought our oceans to the point of disaster and unless we make a dramatic change, then our oceans, all its inhabitants, and even mankind will be at risk. Since that fateful plastic-polluted dive, I have become an ocean advocate and spend my days trying to get the message out there to people from all over the world of just how destructive ocean pollution is, not only to marine life but also to mankind. There are many ways you can help make a difference! Of course, we should do all we can as individuals to avoid single-use plastics: bring your own reusable bag to the store, use a reusable water bottle, and refuse straws and plastic packaging whenever you can. And to my fellow divers, if you’re on a dive and notice a piece of plastic floating past you, why not grab it and put it in the pocket of your BCD? Or, if you’re walking along the beach and see some plastic on the sand, make sure you collect it. 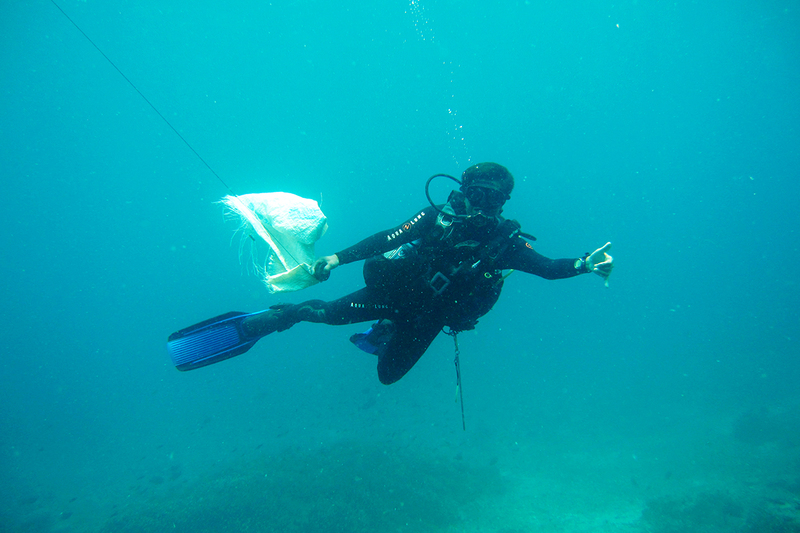 By doing these small actions, you might even save the life of a marine creature. But we need to take it a step further. 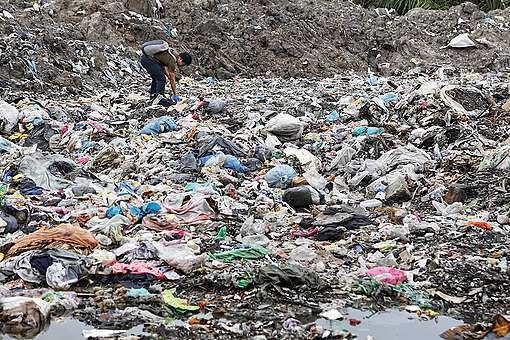 Individual actions will never be enough to solve the plastic pollution crisis unless companies stop producing so much throwaway plastic in the first place. How do we get companies to change? Back in June, I read this blog from Greenpeace and was inspired to discover all the ways I can help send a message to companies that they need to reduce their single-use plastics. One way in particular caught my attention because it’s really easy to do and perfect for the dive community or anyone else who loves spending time in nature. If you find any piece of branded plastic waste in the ocean, on a river bank or beach, on a nature trail or even on the side of the road, take a picture of it and post it to social media, tag the brand, and use the hashtag #IsThisYours? 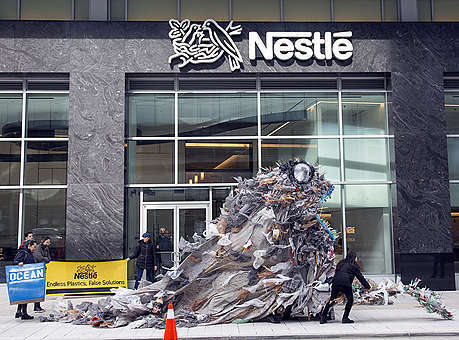 This is a great way to call out companies for their plastic pollution and provide evidence that their packaging is ending up where it shouldn’t be. And there are many more ways to take action. You can get a team of your friends together and start convincing local supermarkets, restaurants, and takeaway places to get rid of their single-use plastics. Another great way to start is by sending a letter to the editor of your local newspaper and bring to light how plastic pollution is affecting your community. The underwater world is truly spectacular, with its huge variety of marine life, mixed with stunningly vivid colored corals and epic underwater scenes. If you’ve never experienced diving before, now would be a good time to start. And even if you don’t ever see the magical underwater world yourself, know that it is there, amazingly beautiful, all the time. And we need to do all we can to protect it. I love this #IsThisYours and the idea of the impact it can have over time! This whole #IsThisYours concept is great. I know that it isn't the company itself that threw the plastic bottle in the ocean - but they sold it knowing full well that it's made of plastic and without offering an easy and incentivized method for returning the bottle. In Denmark, we have this great system for both plastic and glass bottles where the store has to charge a small price for the bottle. When the bottle is returned the money is paid back. Even if the consumer doesn't want to return the bottle, there is always someone ready to pick up bottles and sell them back to the store for recycling. It works and it would be easy to implement worldwide if the big corporations put their shared muscles into such an incentivized return system.